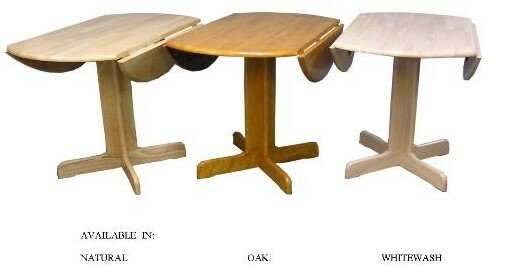 Table is 40" round with both leafs up and 22" with them both down. Slat back 4 legged chair with upholstered seat cushion. Other available finishes in Antique Brown. Wash. Natural. and Oak.